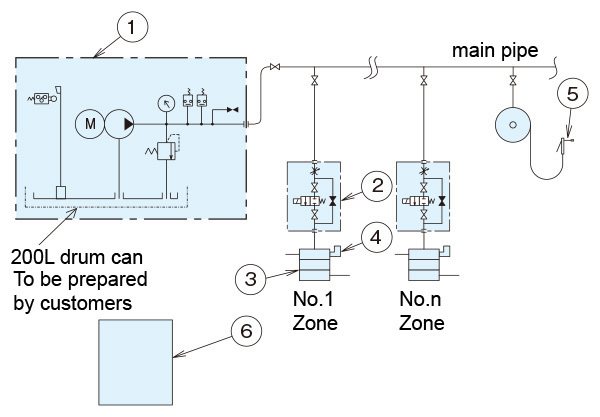 Motor Driven Multi-zone System | Overview | Daikin Lubrication Products & Engineering Co., Ltd.
• Suited to lubrication over a large-scale wide area by a single central pump. • By extending branch pipes from the main supply line, and installing and opening/closing solenoid valves, lubrication can be performed according to time schedules independently set for each zone. The solenoid valve of each zone is opened by the electric control panel and is closed to complete lubrication when the specified number of distributing valve cycles is reached. 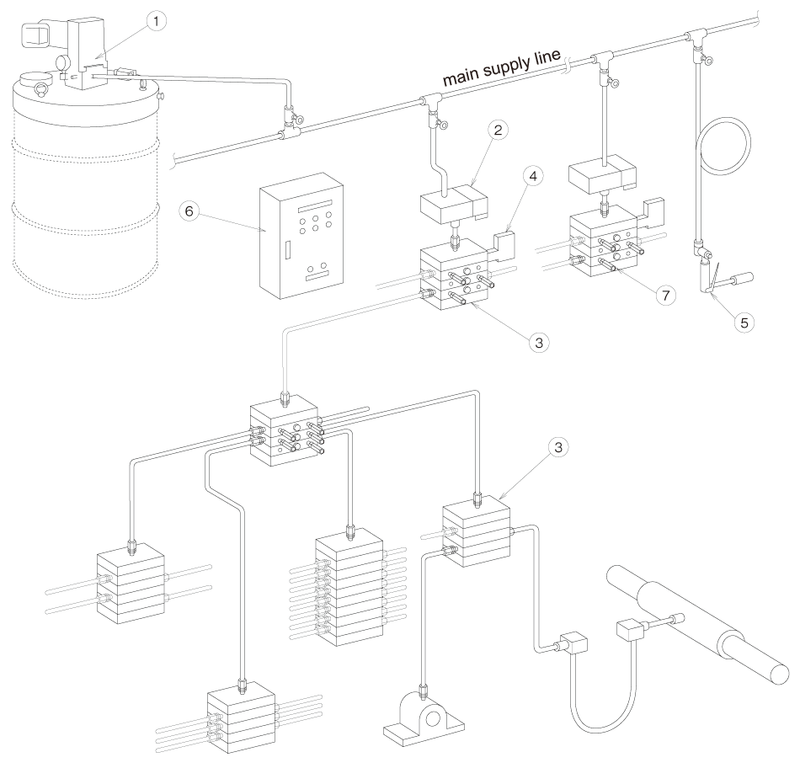 Distributed lubrication operation in each zone is the same as that of the motor driven pump system. *Consult with us when considering a multi-zone system.